An orthodontic emergency can happen in the blink of an eye, leaving adults and children alike struggling with sudden oral pain and worry. Thankfully, Cartwright Orthodontics is here to help. Dr. Gary Cartwright always makes time for urgent cases as soon as he possibly can, and our friendly staff members can also provide assistance over the phone if you’re unable to reach our office right away. We have two locations in McMurray, PA and Bethel Park, PA – please contact the one closest to you when experiencing an orthodontic emergency. 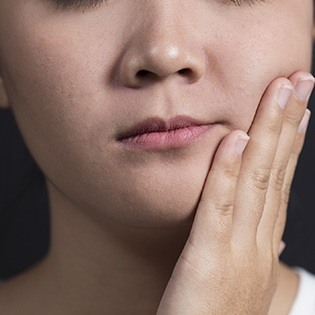 How Can I Avoid Orthodontic Emergencies? Do your best to avoid foods that are overly chewy, sticky, hard, or brittle in nature. These items can damage your brackets and warp the wires. Some discomfort is normal after braces have been placed or adjusted, but if you’re still experiencing significant pain after three to five days, contact Cartwright Orthodontics right away. Make sure to protect your braces from harm during athletic events by wearing a mouthguard. Brush and floss thoroughly! It’s easier than ever for small particles of food to get trapped between teeth and cause decay when you’re wearing braces. What Are The Best Ways To Care For My Braces/Retainers At Home? When flossing, feed the short end of your floss through the space that exists between the main arch wire and the upper part of the tooth. Make sure not to use too much force when flossing near the wire! Consider investing in a brush that is specially designed for cleaning braces, such as a proxabrush. This brush should be inserted from the top of the mouth and then up from the bottom, using several strokes to clean the spaces between the braces. When wearing a retainer, make sure to clean it too! You can disinfect it by soaking it in denture cleanser – just make sure to rinse it thoroughly with water before placing it back inside your mouth. When food becomes stuck in your braces, it can be a little uncomfortable and embarrassing. Thankfully, this issue should be an easy fix that doesn’t require emergency care. Just take a piece of dental floss or a proxy brush to remove the offending debris. Ligatures are more commonly known as rubber bands, which hold the wire against the bracket in order to apply force to your teeth. If one or more of them is damaged or falls out, you can place it back in its original position with tweezers. However, if you find yourself losing several ligatures, you should contact Cartwright Orthodontics for a follow-up appointment so that we can determine the cause. As already stated, some general pain and/or soreness is very likely for the first few days following the placement (or adjustment) of your braces. Please do not panic early on; your teeth are just adjusting to the forces that the braces are applying. However, if the pain you’re experiencing is overly intense or if the soreness persists longer than what seems normal, you’re always welcome to contact either of our locations for guidance. In the early days, braces and other orthodontic appliances can irritate your soft tissue, often leading to sore spots. This problem should subside as your mouth becomes adjusted, but in the interim, we recommend placing dental wax on the area of your braces that is resulting in sores. You can also rinse with a cup of warm water mixed with a teaspoon of salt for relief. If these suggestions do not provide any relief or the sores/irritation seems to be growing worse and worse, please let us know right away. If your wire has become loose and/or is poking your soft tissue, use a Q-tip or pencil eraser to push it back until it’s flat against the tooth once more. Covering it with wax can provide a buffer to prevent irritation until you’re able to reach one of our locations. If one or more orthodontic brackets come loose, this problem should be handled by Dr. Cartwright as soon as possible. In the meantime, you can use tweezers to slide the bracket along the wire until it’s situated between two teeth. Then, carefully rotate it until it’s reached its original position and slide it back to the center of the tooth. This happens rarely, but we understand how alarming it can be. Please remain calm, and if you’re able to see the piece when you open your mouth, you can try to remove it if it won’t cause further harm. If the patient is coughing excessively or is struggling to breathe, it’s possible the piece could have been aspirated; please contact the practice immediately for further guidance! If your face/mouth experiences a severe blow, contact Cartwright Orthodontics right away to schedule an emergency appointment. Your braces/appliance may have been damaged during the accident, and we want to restore them as soon as possible. If you’re experiencing heavy bleeding or potential broken bones, please proceed to the emergency room in your area first.